This article contains spoilers for What Remains of Edith Finch. As the shortest gaming experience I’ve had this year, What Remains of Edith Finch managed to pack a more powerful punch in its story and themes than any AAA release so far–in a year that has already boasted some of the best games in recent memory. The second release from Giant Sparrow, Edith Finch follows The Unfinished Swan with fantastical imagery and storytelling to tackle narratives which confront challenging and emotional ideas. These are stories that couldn’t be told as effectively in any other medium. Edith Finch puts players in the perspective of Edith, as she journeys back to the home of her grandmother. Edith learns more about her family and the tragic history of deaths that seem to plague the Finches like a curse, wishing to record her family history to pass along to her children and keep something alive moving forward. You, as Edith, arrive at the house and begin exploring, entering various rooms that each belonged to a different family member as you learn about how that person met their end. In these stories, the perspective of the player shifts from Edith to whichever relative she’s learning about, and you play through the last days or moments of that person’s life. While the story is presented as one with some supernatural implications, such as the family curse that is referenced throughout—and blamed for the deaths of each family member—there isn’t anything supernatural about the story told. The stories you play through are certainly fantastical, but they feel less like literal iterations of what happened, and more like the ways we try to understand death, and our own mortality, or the ways that we might explain deaths and tragedy to ourselves to make it all make more sense. Death is hard. It’s random, it’s senseless, and whether we like it or not, it comes to us all. This is something that has kept me up at night more than once—the notion of mortality strikes like lightning and suddenly I can’t stop thinking about it. It’s an anxiety that gets most of us at one time or another, and one that might even be triggered just by reading this. Many of us have had death in families or social circles as well, and in a lot of cases we can’t help but try and understand why. Especially when the death is early in someone’s life, or is otherwise tragic, we find it even harder to understand and create ideas in our minds through religion, faith, or just a hope that there is some kind of purpose or design to it all. 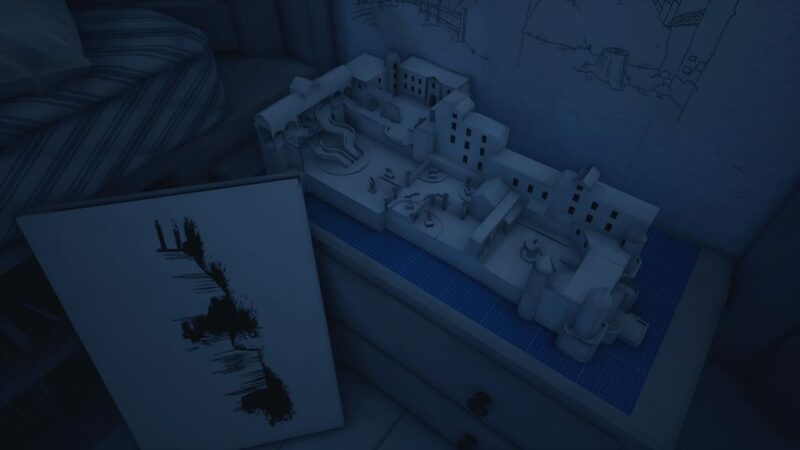 What Remains of Edith Finch plays to this directly, showing the deaths of members of the family in ways that could help the family cope by painting them as the fantastical results of this curse, when perhaps it’s a family with deeply bad luck more than anything else. The best example of this comes in the story of a character in a bath who seems to have telepathic control over the toys in the tub, using them to turn on the faucet and fill the bath. The character then dives into a magical underwater world. You are told this story through the reading of a letter that assures the recipient that “it wasn’t their fault.” It’s easier to imagine that this character had magical powers and went to an underwater world than it is to think that someone could drown in a tub without anyone necessarily being at fault. It’s a tragic event that makes no sense, and we see it told through the eyes of someone trying to cope with the situation they are faced with. They need to find some kind of explanation. The best sequence in the game touches a bit on this as well, having you work an enormously monotonous job, while simultaneously escaping into your own imagination. The scene deals with the suicide of one of the family members, which allows him to escape the real world and into a fantasy world he had created for himself while at work. It’s such an interesting way of approaching depression and such a simple mechanic that I’ve never experienced before, splitting your attention between reality and fantasy. Again, it seems easier to understand someone’s suicide in a way that has them somewhere else, feeling happier; especially when the alternative is so much harder to bear. Mechanically, What Remains of Edith Finch is what could, begrudgingly, be called a walking simulator. Similar to the seminal Gone Home, you walk through the family home, and interact with different items as you uncover the story of your family. Within the individual stories there are some more interactive mechanics, particularly in the two that I mentioned previously, but the game focuses more on telling its story, and having appropriate mechanics in place to tell it. There is a direct connection between the story and the gameplay mechanics, and it removes the feeling of dissonance that can occur in games that attempt to balance a compelling story with all-out gun play, or freedom in action. When your supposedly likable and fair character is free to gun down anyone at anytime, there’s a disconnect there that isn’t present in Edith Finch. It’s a simple game, it functions beautifully, and you feel present in the experience. It works so well to tell this story in a way that only video games can. This is a “walking simulator” done right, joining the likes of Firewatch and Gone Home as one of the best examples of the genre. What it comes down to, in the end, is that What Remains of Edith Finch is a beautiful story—and a heartbreaking one. It looks at the ways in which we try to contextualize and understand death and tragedy in fantastically realized ways. Giant Sparrow has proven themselves, again, as astounding storytellers, and creators of stunningly artistic video games. In the conversation about video games as art, games like this, and The Unfinished Swan, are examples to point to. Please play this game, support Giant Sparrow, and help them create more work like this one. 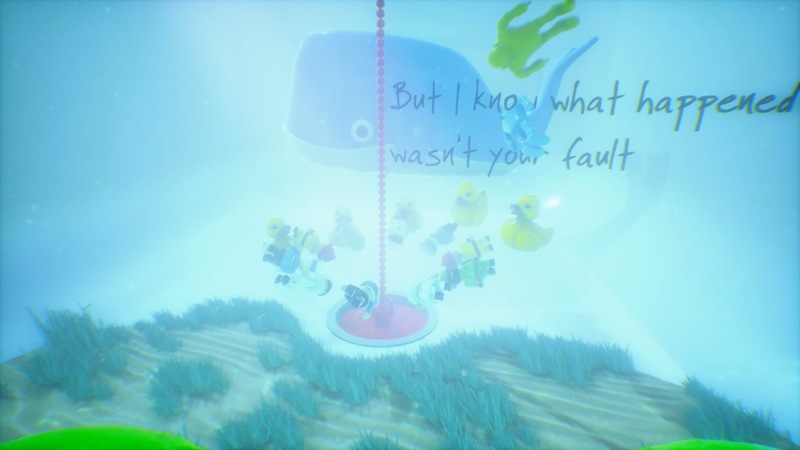 For me, What Remains of Edith Finch struck real emotional chords and hit me hard, making Giant Sparrow two for two on that front.